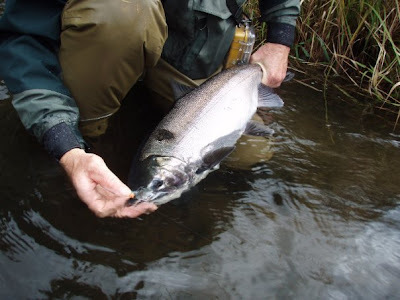 This year coho fishing is actually legal on many of the rivers in Oregon. Previously, you could only target cohos on several rivers in Oregon with hatchery coho runs, and often you would catch armloads of wild cohos while attempting to catch a fall chinook on the rivers that you were not allowed fish for coho salmon. It turns out the ODFW has finally looked at this situation, and they have opened up a bunch of rivers to coho fishing. I know it is going to create a lot of arguments one way or the other, but fact of the matter is that the last bunch of years you can catch like 20+ cohos in a day incidentally while you are trying to catch a legal fall chinook. It was insane the think how the fisheries were closed to coho fishing and opened to chinook fishing when you are catching so many cohos. 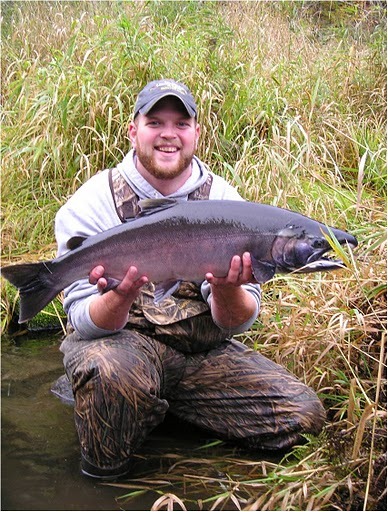 Now ODFW has limited openings on several rivers for wild cohos until quotas limits are hit, or the season ends. A bunch of the rivers I fish and guide at are opened with these quota limits for wild cohos; so this creates a wonderful angling opportunity. If you are interested in booking a trip on a coastal river for wild cohos then email or call me, or if you are interested in taking hatchery run cohos on the systems that stock them at (Sandy River, Eagle Creek, Etc), the contact me as well. You can fish catch and release for the wild cohos, even though it is open for a one fish limit for retention of a wild coho, or you can decide to take one fish. If you go on a trip, it is your decision to do what you want with the fish, but I always advocate catch and release. ZERO LIMIT with Catch and Release!!! On the flip side, one can argue that we fish for food, and you can also argue that it is less harmless to kill one fish then it would be to catch and release over 10 fish. Probably true! We can argue all we want about catch and release and catching wild cohos and the rivers being opened for them, but I know I am going to go fishing this fall on many of the rivers that are opened fall wild cohos. I will practice catch and release, and I may keep a chrome bright male that is deeply hooked and bleeding from the gills. Why not.... Anyhow, this is a blog entry to let those anadramous fish heads that there are rivers open for coho fishing this fall. Why not enjoy feeling one of them pull on your 8 or 9 wt rod, if we have such a wonderful angling opportunity that has not been opened in years.